The Arduino controller is NOT included. 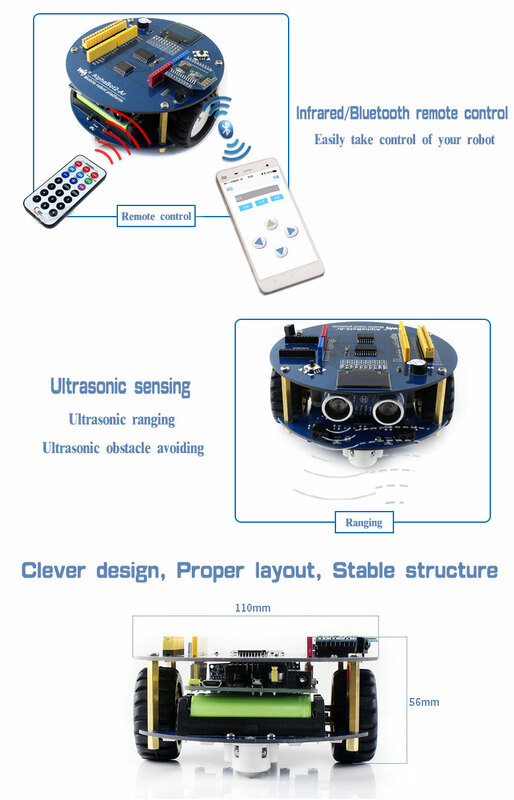 This AlphaBot2 robot kit is designed to use with an Arduino compatible controller (not included). 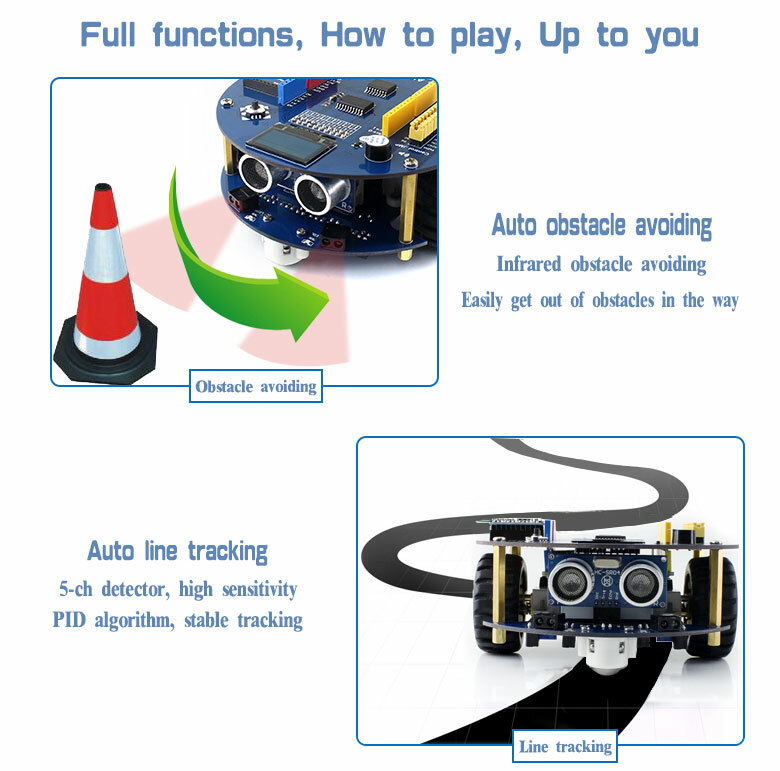 It features rich common robot functions including line tracking, obstacle avoiding, ultrasonic ranging, infrared remote control, Bluetooth communication, etc. Note: photos are FOR REFERENCE ONLY, the other boards/modules/accessories are NOT included in the package list. 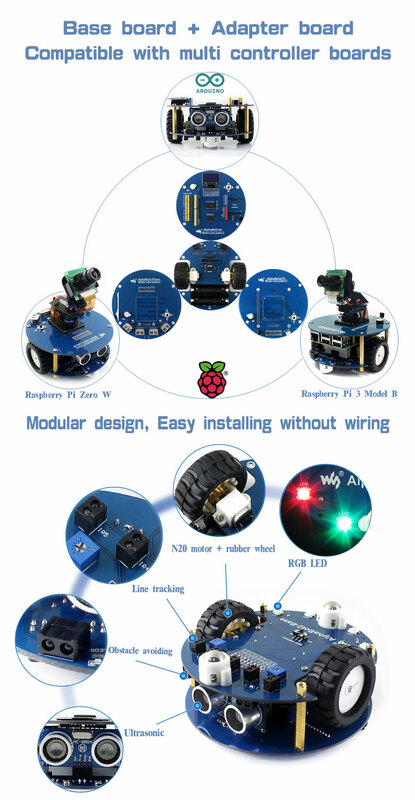 AlphaBot2-Ar robot kits includes a chassis (AlphaBot2-Base chassis) and an adapter board AlphaBot2-Ar. The robot supports Arduino with AlphaBot2-Ar adapter board.